Inside greeting: "We haven't been this shocked since Elsie, the cow, ran off with Mr. Ed." 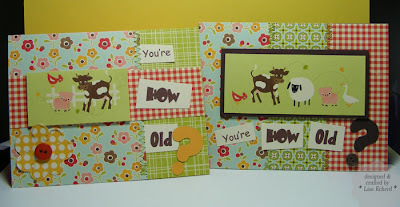 These super shocked looking farm animals just called out for a funny card. My husband helped me with the inside greeting. Hokey, but cute. 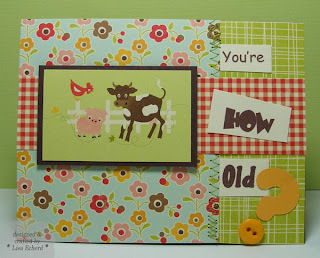 This designer paper is part of the Farm Fresh collection from October Afternoon. Still loving these patterns and colors.